This isn’t necessarily a chore that you have to scribble onto your to-do list right away, but it may be something you want to become more aware of. Cleaning out the air ducts in your home’s HVAC system allows clean air to pump throughout your home. Not only is cleaning your system beneficial for your health, purifying the air that you breathe, but it can also save a noticeable amount of money on your electric bill. You may be wondering why the quality of the air running through your HVAC system has any bearing on how much your air conditioning bill would cost. Well, any particle or piece of dust running through your vents decreases the efficiency of your system. Dust caught up in your system’s vents, fans and filters forces your system to work harder, draining more power for a lesser output. In addition to cleaning your HVAC system, you may also consider having it inspected by a professional every so often. Trained inspectors are able to check your ventilation system for holes, as well as cleaning and installing new components to ensure your home is generating and circulating clean air. Even more importantly than saving a little money on your monthly bill, is protecting the wellbeing of yourself and your family. Indoor pollution kills an astounding number of people every year all over the world. According to the World Health Organization, 4.3 million people die per year due to exposure to indoor pollutants. Not to mention, pollutants flowing through your home’s HVAC system can make you sick, or trigger reactions to underlying illnesses such as asthma. If you own a business that is consistently pumping low quality air, it tends to have an effect on the productivity of your employees. This relates back to the aspect of protecting your finances as well, but decreasing employee productivity, or causing employees to get sick can definitely have a negative impact on your bottom line. 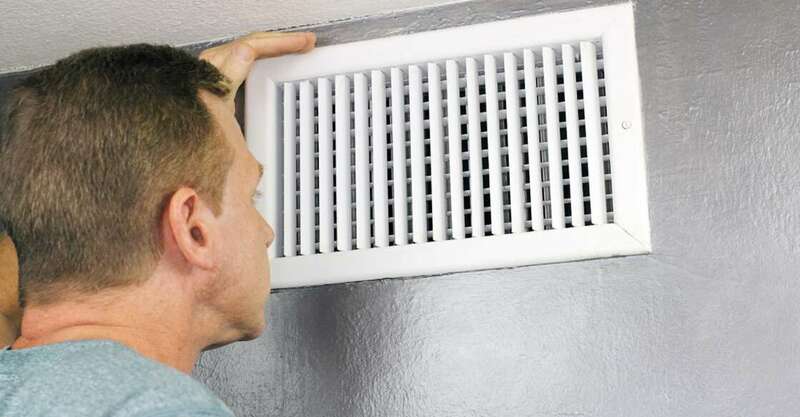 If you live in an apartment, you’ll be rather limited as to how much you can actually clean your ducts and vents. If you own a home, however, it’s rather easy to tackle the task on your own. As long as you have a vacuum, a broom or brush and some paper towels, you can give your home a pretty thorough cleaning. First, what you’ll want to do is cover all the vents/ registers with some type of filter (a paper towel will work fine). After this is done, turn your system onto “fan” only, blowing neither heat nor cool air. Clean out the filters in your home by wiping them down with a paper towel, or you can use a vacuum for the part. If you have exposed air ducts in your home or apartment, tap on them while the system is running in order to loosen up excess dust. Allow your system to run a little longer before turning it off and removing the filters from your registers.